When will be Two Thousand Acres of Sky next episode air date? Is Two Thousand Acres of Sky renewed or cancelled? Where to countdown Two Thousand Acres of Sky air dates? Is Two Thousand Acres of Sky worth watching? 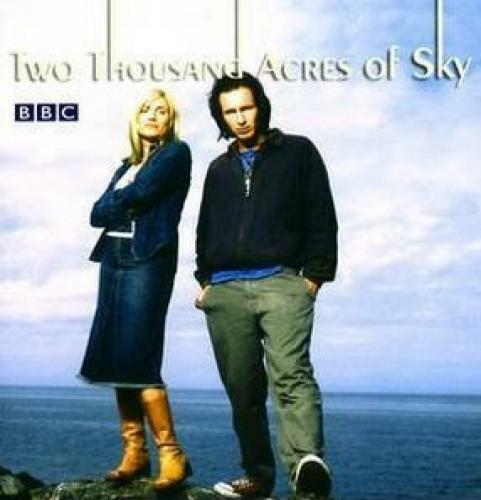 Two Thousand Acres of Sky was a TV drama which aired on BBC Television from 2001 to 2003. It is also syndicated in the United States on PBS. It was created and written by Timothy Prager. The Executive Producer was Adrian Bate. The show takes place on the fictional island of Ronansay off the coast of Skye. The actual filming location was the sea-side village of Port Logan.Two Thousand Acres of Sky tells the story of single mum Abby Wallace, who escapes her inner city lifestyle with her two children to a small Scottish village. As Robbie and Abby's relationship grows stronger Kenny knows that the time for him to leave is fast approaching. Kenny is instrumental in helping them remember some of the good times they had together, and in giving the kids space to get to know their father. Robbie needs Abby to believe he's changed and tells her about a darker period in his life - a time he looks back on with regret. Hamish enjoys re-acquainting himself with the island and he's delighted when Douglas finds the fishing boat he used as a kid. It ushers in warm memories of his own childhood. The boat is almost seaworthy, but it just needs a little work to prevent any leakage, which Robbie is happy to undertake. In the wake of Kenny's death, the islanders are coming to terms with the loss. Alfie particularly, is finding it difficult to deal with. Desmond Cholonbury is dead! As the highly unpopular and disliked owner of Ronansay, his untimely demise is a cause for celebration for the islanders! Douglas sees this as a chance to finally unite the island. There's just one tiny snag - Cholonbury declared that the islanders are not to be sold the island, unless there are no other takers. As far as Douglas is concerned, this is just a minor obstacle. He starts to form a plan for them all to band together and buy the island themselves. Two Thousand Acres of Sky next episode air date provides TVMaze for you. EpisoDate.com is your TV show guide to Countdown Two Thousand Acres of Sky Episode Air Dates and to stay in touch with Two Thousand Acres of Sky next episode Air Date and your others favorite TV Shows. Add the shows you like to a "Watchlist" and let the site take it from there.